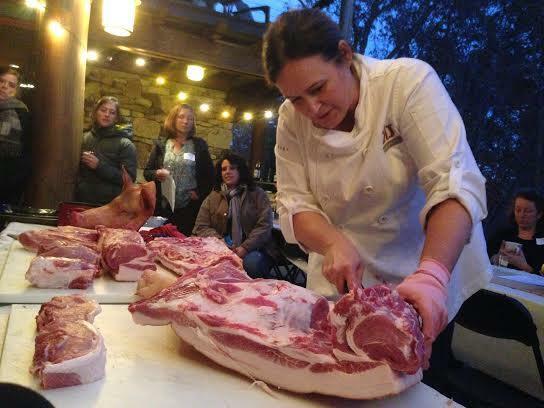 Leoneda Inge reports on 'Women in the Meat Business" seminar in Chapel Hill, NC. Master Butcher Kari Underly slices a hog during a demonstration at the Chapel Hilltop Lodge. Most of America’s food industry is male-dominated, from the farmers to the chefs. But a group of women gathered in Chapel Hill, N.C. this week to learn and hopefully take their rightful place in the competitive meat business. And that includes bringing home the bacon and frying it up in a pan. Let’s start with the hog. Kari Underly has pulled out a saw to cut around the elbow of a slab of hog on the table. She's wiping her brow, cutting up a hog is hard work. Underly is a master butcher from Chicago, a third generation butcher. She’s the founder of Range Incorporated and Muscolo Meat Academy, set to open this year. “What I’m doing now is taking out the femur bone, the ham is a little bit of a drag if you will, cause we have to make money and not everybody wants a big ham," said Underly. Underly, 46, was the headliner at this year’s “Women in the Meat Business” seminar created by N.C. Choices, part of the Center for Environmental Farming Systems. Underly sliced, chopped and sawed through a slab of pork while some 30 women took notes. You can’t be squeamish at this party. The hog’s head sat on the table while Underly worked. Tootie Jones owns Swift Level Land and Cattle in Lewisburg, West Virginia. 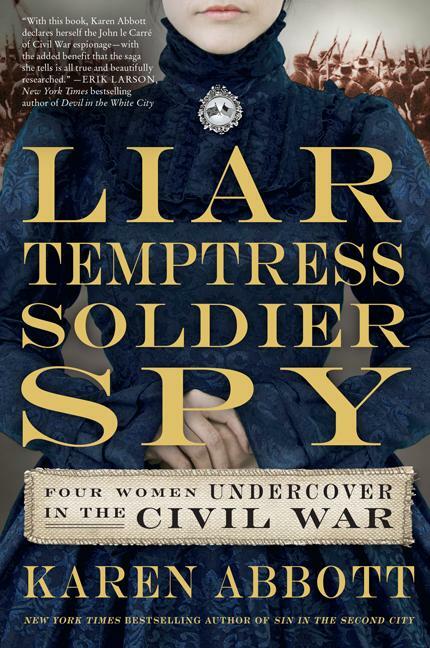 “She’s a knife-wielding rock star in her own right, and has quite a following," said Jones. One thing Kari has done is inspire a lot of people to go out, pick up a knife, learn how to handle a knife and go out and develop a business." NC Choices first brought Underly to North Carolina two years ago for a statewide meat conference. N.C. Choices Director Sarah Blacklin says they didn’t know if anyone would attend her session, but women packed the room. Blacklin believes economics is behind the interest. 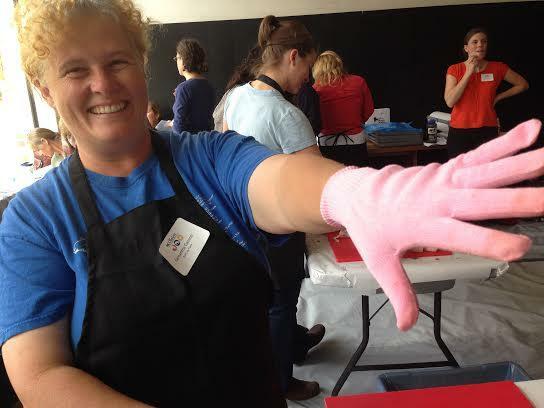 Samantha Gasson, owner of Bull City Farm, and all of the seminar participants were given pink cutting gloves. Butcher Kari Underly jokes, men never take your glove by mistake if it's pink. “What we’ve seen is a huge resurgence of local meat that’s across the board," said Blacklin. Blacklin adds that she’s seen a shift in the beef industry, where farmers aren’t just breeding cattle, and then shipping it out west for finishing and distributing across the U.S. She says more and more people are raising the animals, finishing them and selling them closer to home. “And that has opened up this avenue for not just the raising of the meat but the selling, the marketing the connections, the distributions. And I think it’s a natural avenue for women to move into," Blacklin said. Jennifer Curtis agrees. She’s the Co-CEO of Firsthand Foods based in Durham. She’s not a butcher like Underly, but instead found her niche as a meat wholesaler. “So we thought there needs to be a business right here in the middle that’s helping buy the whole animal and sell the parts to the chefs and the retailers [who] want it," said Curtis. Curtis says attending the conference and seeing how Underly uses parts of the animal can only add value to the product and make her business more money. The women participating in the seminar did more than just take notes and handle raw meat - they got to eat what they butchered – from short ribs to Denver steak tartare. Andrea Reusing, chef and owner of Lantern in Chapel Hill did the honors. A statewide survey by N.C. Choices and N.C. Growing Together says local meat sales nearly hit $20 million last year, and is climbing. As the demand for local food and farm-to-table restaurants rises, the American agriculture and food production industries are expanding. 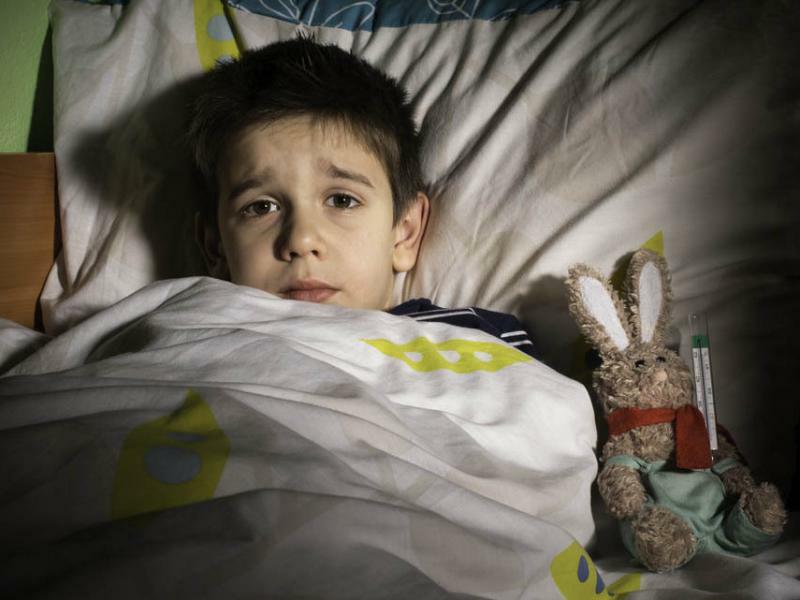 But a growing grass-roots movement aims to change that — starting with paid sick leave. Already the movement has met some success. This past weekend, California became the second state in the country to mandate sick leave for employees.